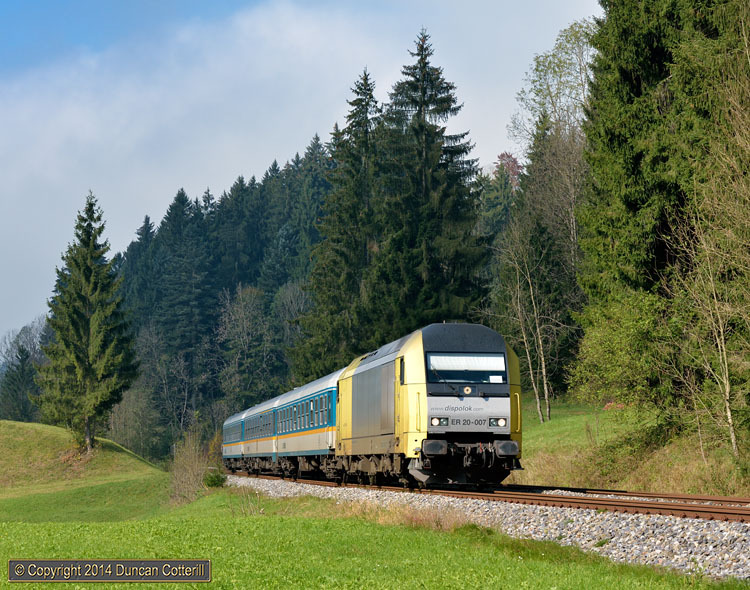 Dispolok 223.007 approached Weissenbachmühle with ALX84151, the 13:58 from Lindau to München, on 4 October 2014. In the background a bank of fog can be seen, rolling in from the north and bringing my photography to a premature end. The freight working I was waiting for came 15 minutes later, in poor light and running light engine. Trip over.